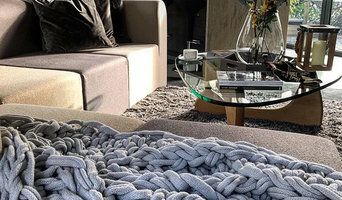 Placeshaper Interiors is a Lancashire based Home Interior Stylist and Personal Shopper for your home. We can source all the things you need for your next home project or interior makeover. 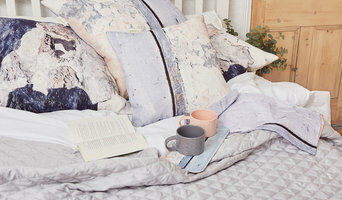 Offering a unique and very personal service to YOU (your home, style, personality) , I can create a package of decor ideas, mood boards, furniture, lighting, fabrics and home styling accessories to match your home and lifestyle. Why would you need a Home Stylist ? To improve the look and feel of your living space To make quick, affordable improvements to sell your home quicker or to achieve the best possible price For Home Staging - to improve Estate Agent or Letting Agents marketing to achieve the best possible photography to showcase your home To De-Clutter your home If you are planning a new build or refurb project - a home stylist can help inspire and style your project To be your personal Shopper to accessorise and style your home if you are too busy An Interior stylist can help inspire you and bring all your ideas together to help you create the perfect space to bring your home (or business) to life. If you need a bit of inspo for styling your home , even if its just a corner of your home, get in touch and let's see if we can work together. I can cover a 25 mile area around Burnley & Pendle. Est 1946 | The UK’s largest independent family-run furniture retailer. I run my own successful business Homeleigh Vintage selling mid century furniture and fabrics. I also love styling and photography. My background is Interior design and styling. Freelance and qualified interior designer & stylist experienced in the London high-end luxury residential market. Currently accepting projects in the West Yorkshire region. Previous clients include, high profile celebrities, footballers, diplomats, international royal family. Specialising in: Luxury Residential interior design ,interior styling, Home Staging, Bespoke furniture & fittings, luxury children's playrooms and bedrooms, sourcing accessories & furniture. Arabic & English speaking. Harrogate Interior Styling with a difference.Working with you to make the most of your home; bespoke interior design and styling services including mood boards, room designs, sourcing, upcycling, storage solutions and decluttering. Bespoke furniture painting, hand made soft furnishings,upholstery and sourcing the perfect pieces for your rooms. Don't make do: Make Fabulous! Creating Inspiring and Functional Spaces tailored to your lifestyle and budget. Sometimes simple changes are all it takes to transform the look of a room. I will work creatively with what you already own by adding positive change through colour, de-cluttering, furniture placement and accessories. Welcome to Simply Add Style! We love interiors and aim to simply add style (excuse the pun) to your home. We offer quick and easy room updates with our inspiring stylish collection of home, garden and quirky accessories at great prices! REFRESH! REVAMP! RENEW! Uncompromising dedication to cutting edge, luxurious and soulful design, Karma Living raises the bar in contemporary living. Vegan, cruelty free and eco friendlier interior designs and home decor. Interior Design, Home Styling, Product Sourcing, E-Styling and Bespoke Styling Options to achieve quality but affordable design services. Starting from £99 per room. Interior stylists or interior decorators in Batley, West Yorkshire will be able to help you position furniture, choose colour schemes and select accessories so that your rooms and home decoration will be picture perfect and guest-ready. What types of project should I hire Batley, West Yorkshire interior stylists for? 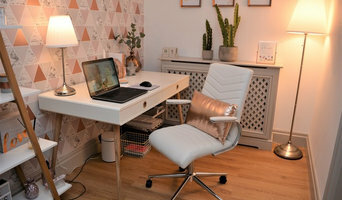 Interior decorators and stylists can be used for a range of purposes when putting together the personality of a room; they will be your colour experts; advise on the latest interior trends; source high street products or vintage finds; and declutter, organise, decorate, accessorise, arrange, reorder and dress your rooms. Many interior stylists are hired to work on commercial photo shoots for brands or editorial shoots for magazines to put together the perfect interior images, but they can also be hired to give your home decoration the professional feel of a magazine, too. Interior decorators specifically may limit their services to painting and wallpapering, or they could incorporate all the services that interior stylists offer as well. Always double check with any professional you contact on exactly what they offer – you don’t want to hire interior decorators thinking they will help you find home accessories and pick out the best accent pieces, when actually all they can do is paint your walls. What should I ask prospective Batley, West Yorkshire interior stylists? How long have you been working in interior styling? What is your background in interiors; do you have any training or qualifications? Have you worked on similar home decoration projects to mine before? How much do you charge for your interior stylist services? What happens if I am not 100% happy with the finished work? How long would you estimate the work to take? Do you collaborate with any other professionals such as interior designers or photographers? Find interior stylists on Houzz. Narrow your search in the Professionals section of the website to Batley, West Yorkshire interior stylists. 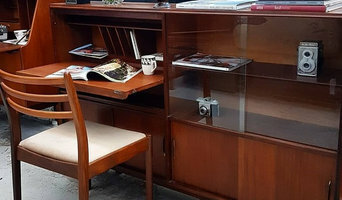 You can also look through Batley, West Yorkshire photos by style to find rooms and home decoration you like, then contact the interior decorators or stylists who styled them.